This listing shows you every single article in the Beadwork Site! The articles are shown in date order, with the most recent articles on top. You can also use the search feature to search for something specific. These listings are shown 10 articles to a page. A review of Rebecca Ann Combs book Kumihimo Basics and Beyond : 25 braided and beaded jewelry projects on the kumihimo disk. 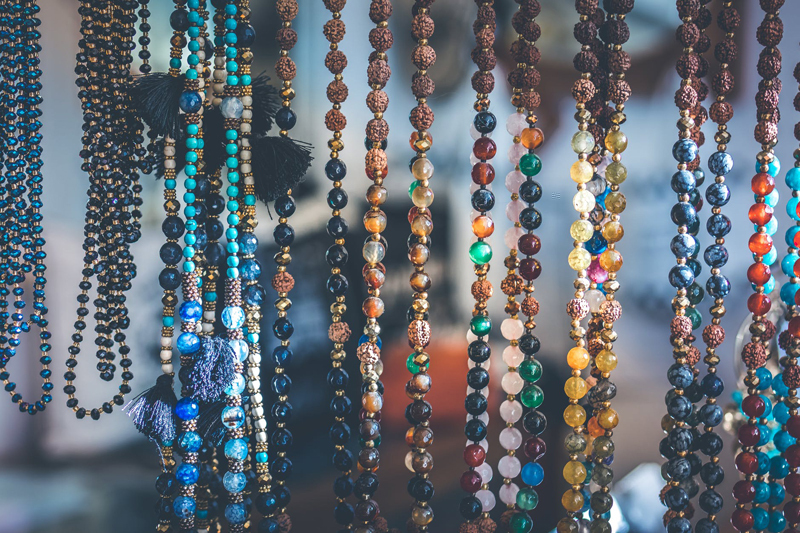 It's hard to choose between buying beads in a brick and mortar store or online- here are some thoughts about it. A tutorial for making a fake stacked bracelet arm candy look using memory wire and beads. Make a quick and easy fashion pendant using a head pin and beads- this is an easy project for beginners. An easy to make crochet wrap bracelet made with faux pearls and size 10 crochet thread. Bead Style Magazine's collection of multistrand jewelry designs is an inspiring collection of projects for bead stringers. Read my review to see why! Part of my color theory series, this focuses on analogous colors. There is also a free pattern for a bargello patterned amulet bag. This book, Bewitching Bead and Wire Jewelry is full of intricate and fanciful designs that are still great for beginners, come see why! Subscribe for free weekly updates from this Beadwork site.